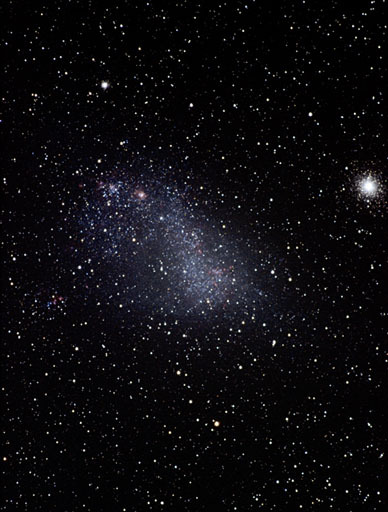 The Small Magellanic Cloud (SMC) is an irregular dwarf galaxy in the direct neighborhood of our own milky way. 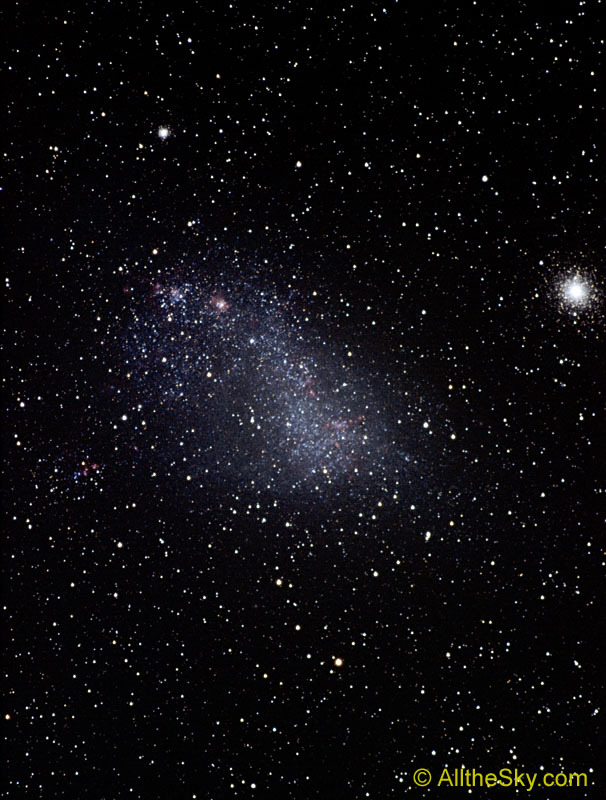 The distance is about 210,000 lightyears, about two times the diameter of the milky way disc. On the right hand side is the prominent globular star cluster 47 Tucanae (NGC 104).